The development process of an elite tennis player has been lacking one fundamental component, GENERAL PHYSICAL PREPARATION. With early sport specialization on the rise, tennis has seen more injuries and dropouts then ever before. It's time more emphasis is placed on PLAYER HEALTH & DEVELOPMENT. IT STARTS HERE. WITH THE HIGH-PERFORMANCE PREPARATION PROGRAM & GUIDE. High-Performance Preparation (by Mattspoint) is a high-performance physical development program and an 11 section online resource that details the necessary physical qualities elite tennis competition demands. The guide provides coaches, players and students of the game with both the basic knowledge of applied sport performance and how that shapes the structure of a general preparation plan for elite tennis. The program is detailed yet can be easily implemented in a variety of high-performance tennis settings. Combined, the guide and program act together to prepare the serious player for long-term success in competition and beyond. Tailored physical preparation program for the developing/elite players (can also be modified for club players looking to gain an edge). All info presented in the performance guide is evidence-backed and proven in the field of play. The purpose of the guide is to support the coach, athlete and student of the game in their pursuit of higher learning and improved competitive success. There are many online programs - but this is more. You'll be guided through each step, learning what elite coaches have been implementing with their athletes for years. Each section will also guide you through the workouts outlined in the 'High-Performance Program' - detailing training aspects such as landing mechanics, loading parameters and much more. The result is a comprehensive, yet simple structure, making implementation for the coach or trainer smooth & straightforward. Q: WHAT’S THE DIFFERENCE BETWEEN HP-PERFORMANCE AND HP-SPECIALIZATION? HPS is a tennis-specific physical prep program; it’ll better prepare serious tennis players for high-level tournament play. HPP, on the other hand, is a general physical prep program; it enhances general physical abilities (those that all athletes need). To benefit from specific types of training, it’s vital that athletes build a foundation of general qualities first. All the content is delivered online and housed at www.mattspoint.com/high-performance-preparation-main. The actual training program is a downloadable file which can be used online or printed. The ease of use allows you to access the content anytime from your phone, tablet or computer. Q: WHO IS THIS INTENDED FOR? The program is intended to be implemented by developing juniors and elite players worldwide. It can be carried out as is, or used as a template to fit the unique needs of each player's setting. The guide is a great resource for coaches, players and students of the game - it's aim is to simplify the science behind training for competitive tennis. That said, any tennis player (college, recreational, senior) will benefit from this resource - the guide will help the eager player adapt the program to fit their specific setting. Q: HOW ELSE WILL THIS RESOURCE BENEFIT ME? At $125, this is tremendous value. In most high-performance settings, $125 might get you 2 hours on court or in the gym for a private session (if you're lucky). Most athletes spend anywhere from $400 to $1000 per month for a program of this nature, to be implemented on their own. With this guide and program, you can adapt the timeframe to fit your needs & gain insight on how to structure a high-performance plan. Your credit card information is secure. In fact, we don't store any of the information on our servers and send it straight to our payment processor (Stripe & PayPal). Q: WHICH PAYMENT METHODS DO YOU ACCEPT AND WHAT IS THE LIST PRICE'S CURRENCY? Online we accept Visa, MasterCard, American Express and Paypal. For additional payment options, please get in touch. All prices listed are in USD. There's no risk. If you're not completely satisfied with High-Performance Preparation (by Mattspoint), we'll issue a full refund within 30 days of the purchase date. Please get in touch for details. "For over 2 years, Matt has established himself as one of the ‘go to guys’ for evidence based practice. His position as a tennis player and coach, gives him an ability to convert his scientific physical preparation knowledge into understandable tennis-specific context. This product continues on this theme. Every section is throughly explained so the athlete/coach/trainer fully understands the ‘why’ behind the training programme. I have no doubt that anyone wanting to take both their physical performance and knowledge to the next level, will benefit hugely from investing in the 'High-Performance Preparation' resource." "Matt is a passionate tennis coach who uses the scientific research as a starting point to his training contents. As both coach and scientist I know how it is important (and difficult) to bridge the gap between theoretical information from scientific studies and practical on-court applications. Matt does it very well and it’s always a pleasure for me to discuss tennis training topics with him." “I've had the opportunity to train at the national tennis centre, earn a NCAA D1 tennis scholarship (Indiana Hoosiers) and compete worldwide. These experiences enabled me to work with many highly qualified strength and tennis coaches. When I returned from college tennis, I found one of the most qualified fitness coaches I could ask for. 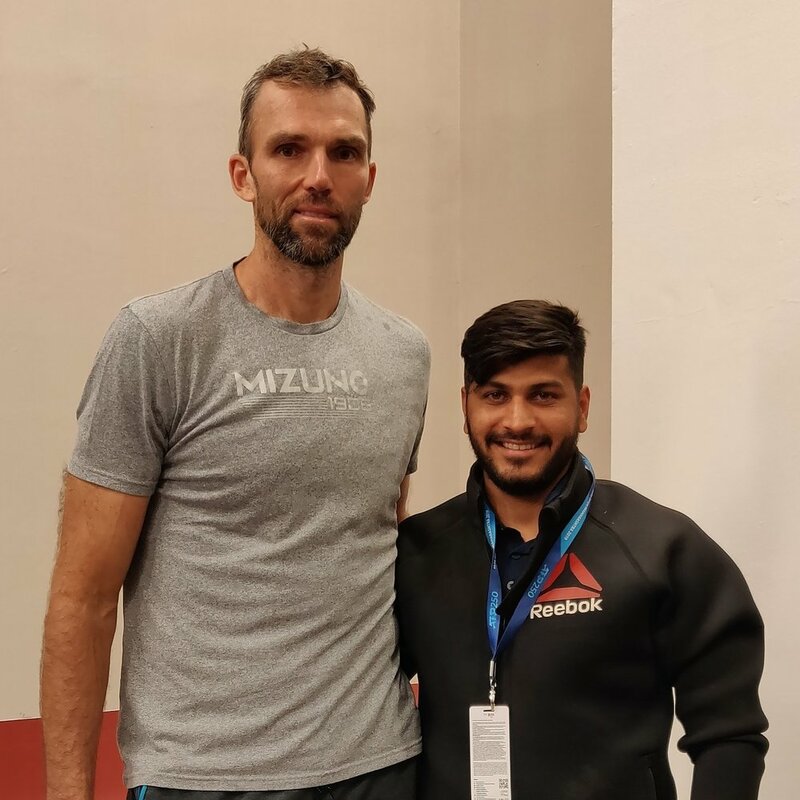 Matt not only has knowledge about the sport and what tennis players need in order to get better, but he is extremely passionate and cares about his players as if they were his own family."